Google eBookstore – Is bigger best? I love to read, I pretty much read everything I get my hands on, including my morning cereal box. I have books on my iPod Touch, my iPad, my laptop and my phone, believe it or not, I think I’d still also enjoy having an eReader. I know I’m probably not the norm, but there are probably a few people out there just like me. 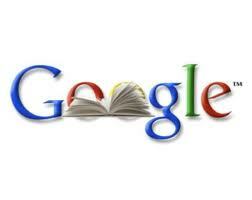 Enough folks like me, that the new Google eBookstore might just be a good thing. Touting themselves as having the largest digital bookstore in the world, the Google eBookstore is a bit different in a few ways. First, unlike Amazon, Google sells books that come in various formats and can be read on almost any device, from the iPad to your netbook or smartphone… but uh-oh, not on your Kindle. Second, The Google eBookstore might just be bigger than it’s competitors, with over 3 million books available with many of them free and hundreds of thousands of titles for sale. The options are certainly extensive. Cheaper? Maybe not, but it certainly seems like a generous selection. Lastly, Google also offers a Google eBooks Web Reader, where you can buy, store and read Google eBooks in the cloud allowing you access to your ebooks like you would your messages in Gmail, using a free account with unlimited ebooks storage. Not everybody needs all this, but I believe its better to have and not need, you know what I mean? But if you have a Kindle, then never mind.